Free-Fall Metal Detectors – What Are They? As the name suggests free-fall metal detectors are systems that are mounted so that the inspected product flow is falling, generally vertically, through the metal detector. Products typically are powders or granules in nature and are in an unpacked state. Common system configurations will include a fast acting rejection valve to detect and reject any contaminated product. 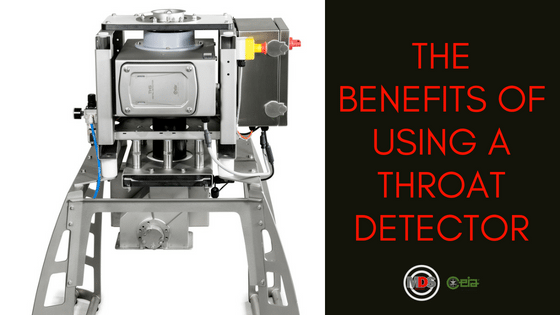 Most rejects are an integral part of the Metal detection system and can be installed in less than 1 metre in height. The CEIA equipment has multiple input/output connections, so electrical integration into the line for control interface options with the other equipment is straightforward. All CEIA metal detectors conform to, and actually exceed all Supermarket and BRC Codes of Practice and compliance requirements. Early elimination of contaminants in a process prevents those contaminants becoming dispersed and spreading through your production line. This reduces the amount of “good” product that is lost. Delicate downstream equipment is protected from damage from pieces of metal. Fail-safe operation means contaminants will not pass through the production process even when the system is deactivated or there is an electrical power supply interruption. High volumes of product can be checked continuously. Compact design means the unit can fit into small spaces and can be retro-fitted into existing pipework. Easy disassembly and cleaning of components that are in contact with the product means a minimum of maintenance down-time. 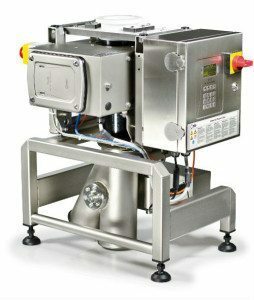 Typically free-fall detectors such as the CEIA THS/FFV21 detector are used in a wide range of applications including the inspection of incoming bulk materials to prevent contaminants entering a factory; in the feed to downstream processing equipment such as extruders and mixers; prior to tablet presses in pharmaceutical applications and prior to packing equipment in food processes. If you have a bulk process that requires a detector, the CEIA units are fully HACCP and GMP compliant and are available in ATEX versions. Please give the MDS sales team a call for further details or you can download our brochure on the THS/FFV21 series.